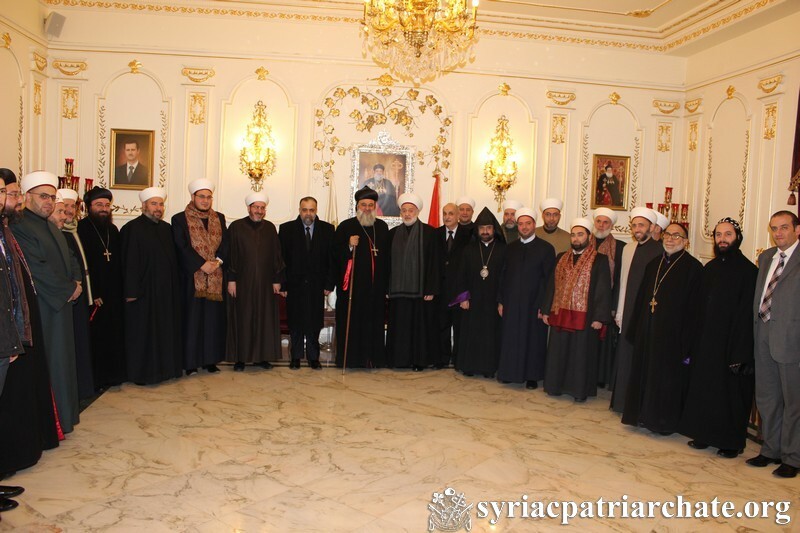 His Holiness Patriarch Mor Ignatius Aphrem II received His Excellency Dr. Mohammad Abdelsattar Al-Sayed, Syrian Minister of Endowments, accompanied by a group of Muslim Scholars, who came to offer congratulatory wishes on the occasion of Christmas at the Patriarchate in Bab Touma, Damascus. His Eminence Mor Timotheos Matta Al-Khoury, Patriarchal Vicar in the Patriarchal Archdiocese of Damascus, His Grace Mor Georges Kourieh, Dean of Mor Aphrem Theological Seminary in Maarat Saydnaya, His Grace Armash Nalbandian, Armenian Orthodox Bishop of Damascus, and His Grace Mgr. Joseph Absi, Greek Catholic Patriarchal Vicar, were also present. His Holiness welcomed his guests and spoke about the importance to celebrate together as Syrians, Christians and Muslims, the birth of Christ, King of peace. 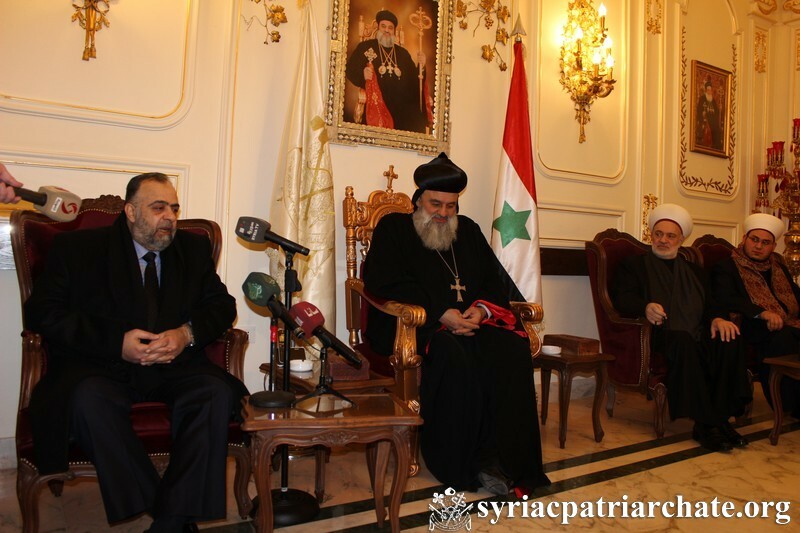 He also spoke about the long history of good relations between Christians and Muslims in Syria. He said that the extremist thought that is leading the youth to self-destruction, can only be fought through having common lectures of religion and religious ethics to all the citizens alike. This entry was posted in Featured News, News and tagged Greek Catholic Patriarchal Vicar, His Excellency Dr, His Grace Armash Nalbandian, Joseph Absi, Muslim Scholars by Orthodoxy Cognate PAGE. Bookmark the permalink.